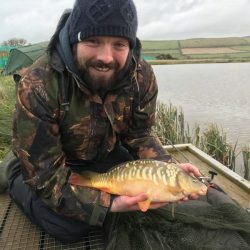 We’ve been open for fishing now for just over a week, and although the cold and windy weather has made the fishing challenging, there has been some lovely fish caught and lots of happy anglers. 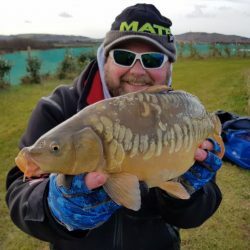 Those who have played the waiting game have been rewarded with some lovely carp and even a few tench, and there have been some cracking roach caught from Lodge and Willow Pool. All we are waiting for now is a break in the weather and the catch rates should skyrocket!! All the fish we’ve seen have been in lovely condition for the time of year, but the number of leeches on some of the fish has shown just how inactive they are at the moment. The Sunset Lakes Café is edging ever nearer to its completion. The kitchen is almost finished and most of the furniture has now arrived, and we are hoping that it wont be long now until we can have the entire site up and running.